Thousands of people came together for <a href="www.inhabitat.com/tag/zona-tortona" target="_blank">Tortona Design Week</a>: a complementary <a href="https://inhabitat.com/tag/milan-design-week/" target="_blank">Milan Design Week</a> event located in one of Fourisalone’s most popular areas. Tortona is famous as the first district where Italian and international designers congregated to exhibit their work in abandoned industrial buildings. The massive event space showcases the latest in fashion, green design, art, and more. 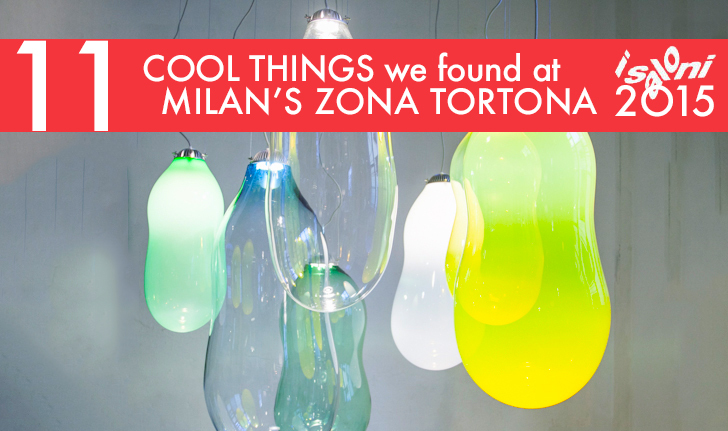 We rounded up some of our favorite finds from <a href="www.tortonaroundesign.com" target="_blank">Tortona Design Week</a>—hit the jump to see them all! 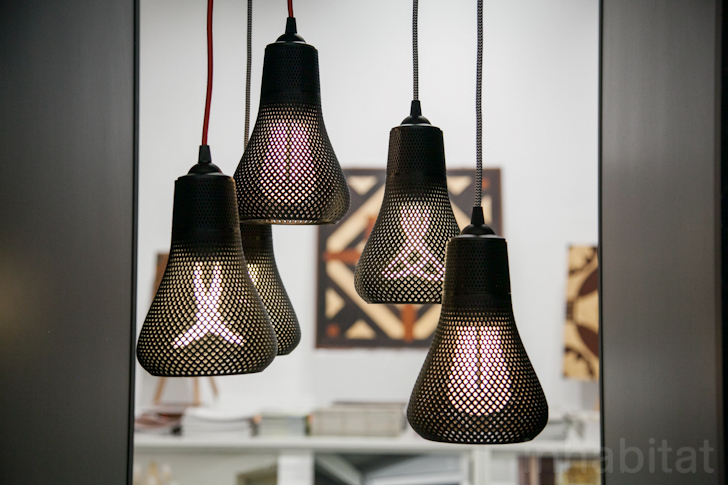 <h3>Formaliz 3D – Rumbles</h3> Milan-based 3D company FORMALZ3D used prototyping technologies to create Rumbles, a collection of lamps. Thanks to the innovative process of the 3D printing technology, there is no waste and no stock in making their handcrafted Italian products. The name Rumbles come from the geometry of the lampshade. 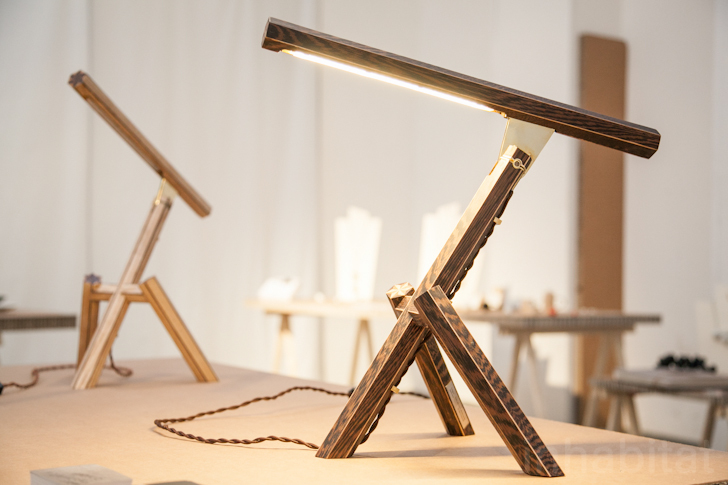 <h3>Marcolannicelli – Yosegi</h3> The eponymous Japanese wood working technique inspired the <a href="www.marcoiannicelli.com/portfolio-posts/yosegi-light/" target="_blank">Yosegi table light</a>. Each piece combines 158 elements of exquisite wood in its form. Four different types of wood are used to create a distinct pattern that reemerges throughout the piece. A simple yet sophisticated cooling system allows a thermal draft around the light source, which increases the life span of the LED by reducing its ambient temperature. 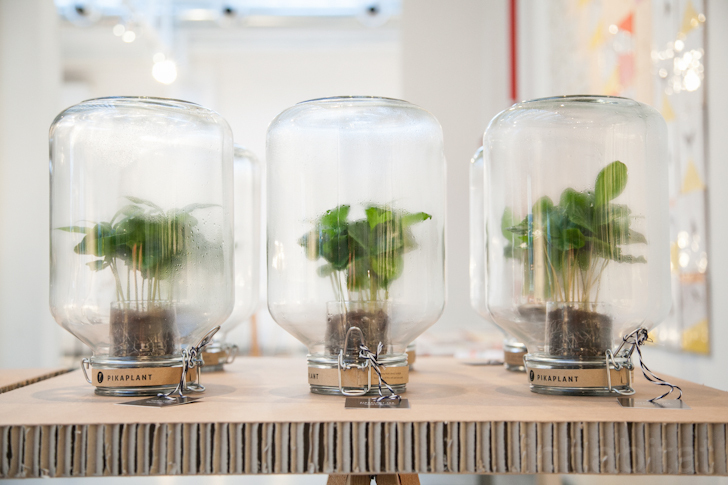 <h3>Pikaplant Jar</h3> <a href="http://pikaplant.com" target="_blank">Pikaplant</a> envisions a world where growing healthy indoor plants is easy. A plant-rich environment makes people more creative, more productive, and reduces stress levels and air pollution. Their products mimic nature to make maintenance easy; Pikaplant Jar is the plant you never have to water. Each handpicked specimen is hermetically sealed inside a humid biotope and continuously recycles the water and air inside. <h3>Purho Pipa</h3> <a href="www.purho.it/" target="_blank">Purho</a> is a new player in the made-in-Italy design industry. Founded by Andrea Dotto and Roberto Fracassetti, the brand uses synthesis and research to create theme-based collections that have been developed by affirmed and new talented designers. 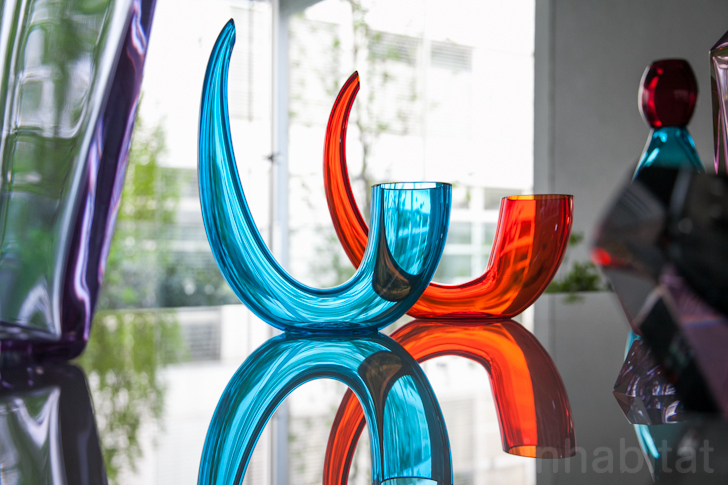 Pipa is a vase hand crafted in Murano glass available in eight colors. <h3>Cottage Industry Kaleidosvase</h3> <a href="http://www.the-cottage-industry.com" target="_blank">The Cottage Industry</a> takes a look at everyday objects that surround us. Their philosophy is to design simple products that are guaranteed to brighten your day. Kaleidos Vase, designed by Giorgia Zanelleto, is an exploration of the vase as an object to display flowers and focuses on the different meanings we can attribute to it. 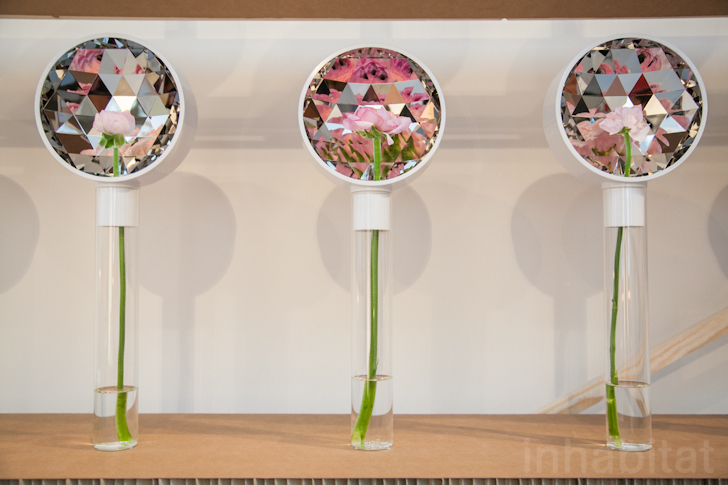 The Kaleidos Vase uses a faceted mirror to draw attention to the flower. The polished surface accentuates the flower, thus intensifying the colored petals in a dizzyingly kaleidoscopic explosion. <h3>Alex DeWitte - Big Bubble Light</h3> The Big Bubble Light is one of <a href="http://alexdewitte.nl/" target="_blank">De Witte’s</a> most well known works. The Big Bubble is bold and audacious, inspired by De Witte’s favurite childhood pastime: blowing bubbles. The organic nature of the Big Bubble’s production process defines the character of each individual lamp and is a testament to modern design. The Big Bubble has won several international design awards, including the Red Dot Design Award. 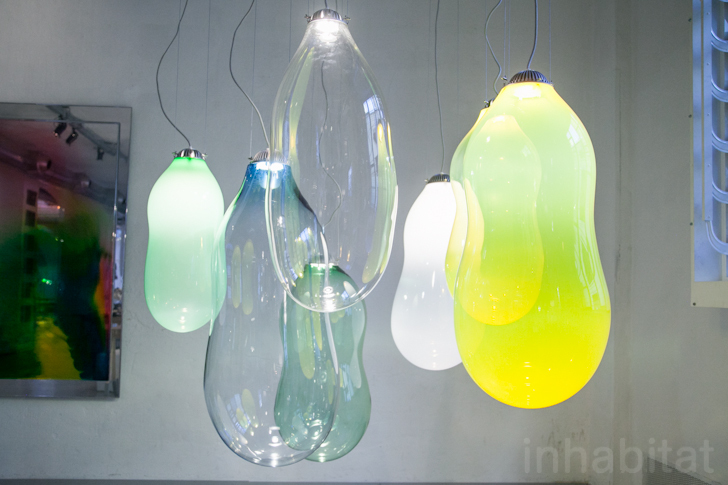 The Bubbles come in various sizes, ranging from 45 to 110 cm in length, and have dimmable LED lighting. <h3>Vadolibero - BikeButler</h3> <a href="http://vadolibero.com" target="_blank">Vadolibero</a> creates smart solutions for people who love to ride bicycles. Combining imagination with functionality, the craftsmanship with the design broadens the cycling experience. In the “ride home” collection, the cyclist can fully enjoy his passion at home. 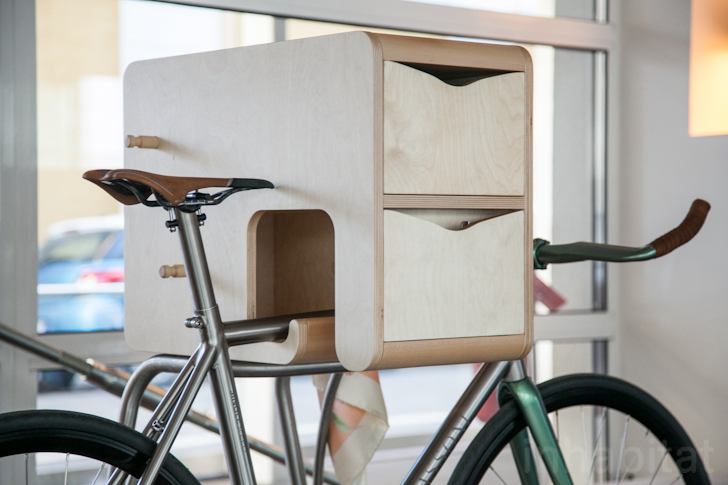 The Bike Butler is a freestanding bike holder with handy storage including a drawer, a key box, a space in the rear, and solid wood poles. 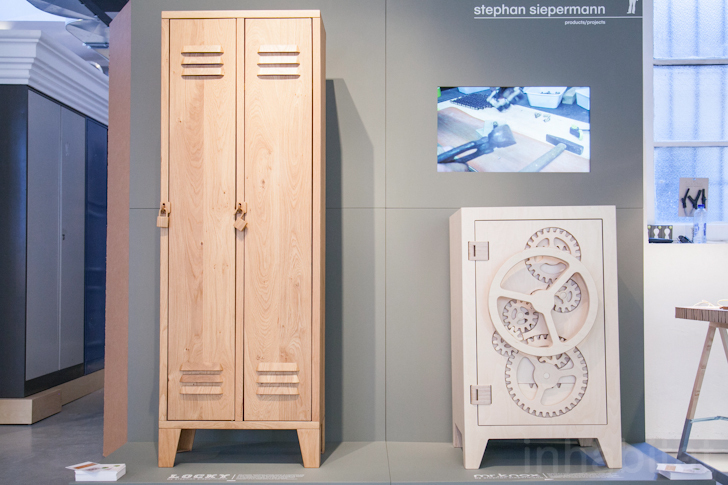 <h3>Stephan Siepermann – Locky</h3> Locky is a wooden cabinet that celebrates the clever design of steel lockers. Wanting to bring the simplicity and strength of the design into the living room, <a href="http://stephansiepermann.com" target="_blank">Spiepermann</a> studied the construction of the traditional locker and translated the design into wood, including the ventilation slots, hooks and the lock. Spiepermann’s admiration for gears and the technical craftsmanship of clocks and safes was the starting point for Mr. Knox. The eye-catching piece of furniture combines playfulness with the technical language of it inspiration. <h3>Weltevree – Groundfridge</h3> As a design team, <a href="http://www.weltevree.nl/" target="_blank">Weltevree</a> creates sustainable design products that enhance the environment while providing both comfort and adventure. Weltevree created “Groundfridge,” a fridge that can be buried underground and can store a big amount of food using naturally cool underground temperatures. 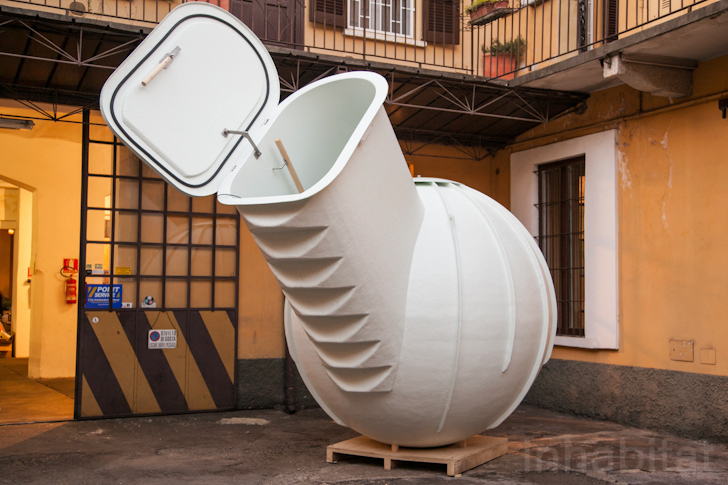 It has a storage capacity of 3000 liters and can store up to 500 kilograms of food. It is equivalent to 20 refrigerators but doesn’t use energy. <h3>Weltevree - Outdoor Oven </h3> The Outdoor Oven is a wood-fired outdoor cooker and heater. The perforated baseplate provides the fire with extra air. 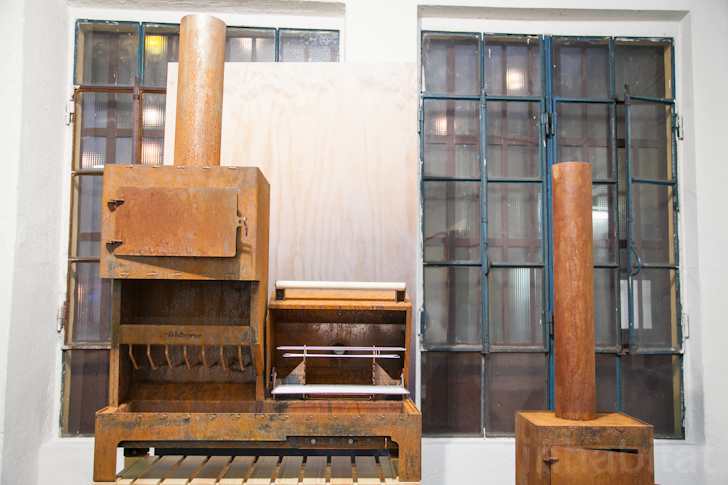 With the Outdoor Oven, Weltevree makes cooking an outdoor activity and allows users to enjoy outdoor living. It is made of Corten steel. <h3>Stilst - Steel</h3> STEEL is a chair made from the handles of old brooms, rakes, spades, and other like materials. The chair gives the reclaimed wood a new life. The patina formed around the handle looks like new bark. Craftsmen worked the collected reclaimed handles to turn them into a folding chair. 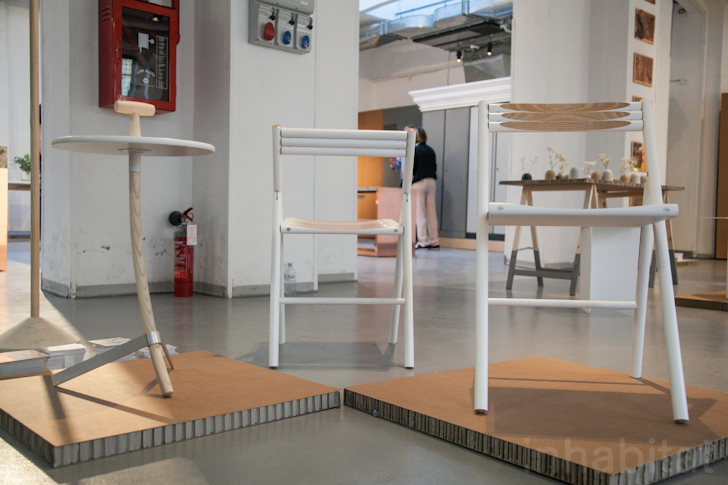 Thousands of people came together for Tortona Design Week: a complementary Milan Design Week event located in one of Fourisalone’s most popular areas. Tortona is famous as the first district where Italian and international designers congregated to exhibit their work in abandoned industrial buildings. The massive event space showcases the latest in fashion, green design, art, and more. We rounded up some of our favorite finds from Tortona Design Week—hit the jump to see them all!